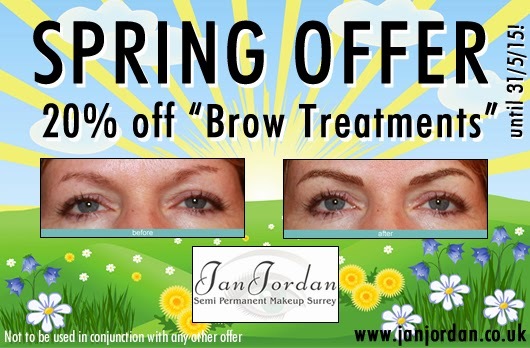 "Spring Offer" 20% off "Brow Treatments" until 31/5/15!" 20% off "Brow Treatments" until 31/5/15! "I have had so many compliments since Jan did my eyebrows and I am delighted with the difference they have made to my looks. I can't praise her highly enough. Jan made the whole process so straightforward and enjoyable."